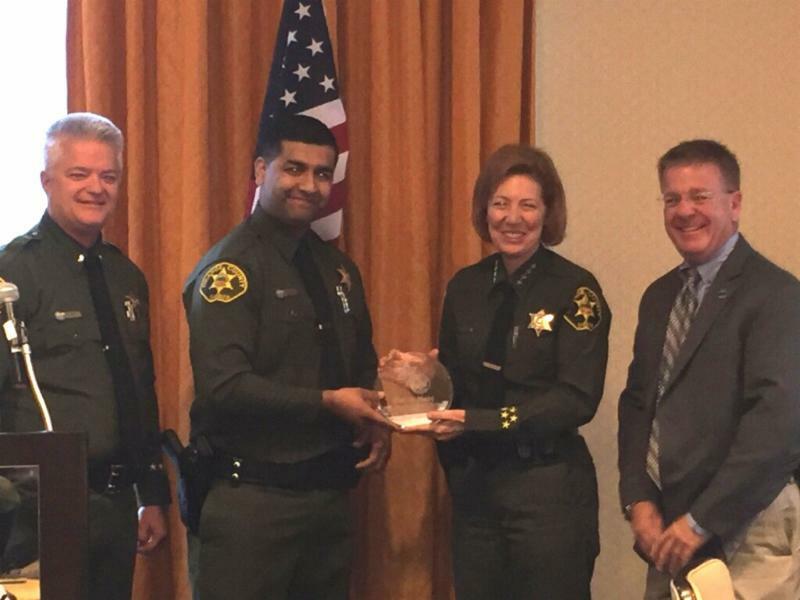 Deputy Rafiq Nabi was named Aliso Viejo Police Services’ Deputy of the Year for 2015 during the department’s annual deputy recognition breakfast today. Deputy Nabi’s strong work ethic and commitment to the City has earned him the respect of peers, supervisors and community members. A mentor and role model, this dedicated deputy is also recognized by his supervisors as “a seasoned deputy who makes rational decisions” and as “a team player willing to do whatever it takes to get the job done.” It’s that kind of praise that continues to pepper Deputy Nabi’s employee file. For his efforts in keeping Aliso Viejo’s streets safe, Deputy Nabi received the Mothers Against Drunk Driving Award for arresting 28 DUI drivers in 2014. Posted in 2015, 2015 Walk of Fame, eNews, News, Top-Stories, Walk of Fame.